New York: Peter Blum Edition. Text by Kenneth Baker in English and German. 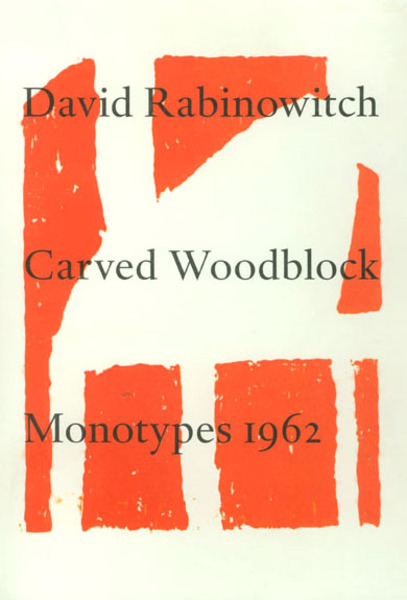 Full color reproductions of unique woodblock monotypes by David Rabinowitch from 1962. Each print is reproduced in color on a full page. Edition of 1500, 83 pages, 75 color reproductions, hardbound with Freelife Vellum dust jacket.